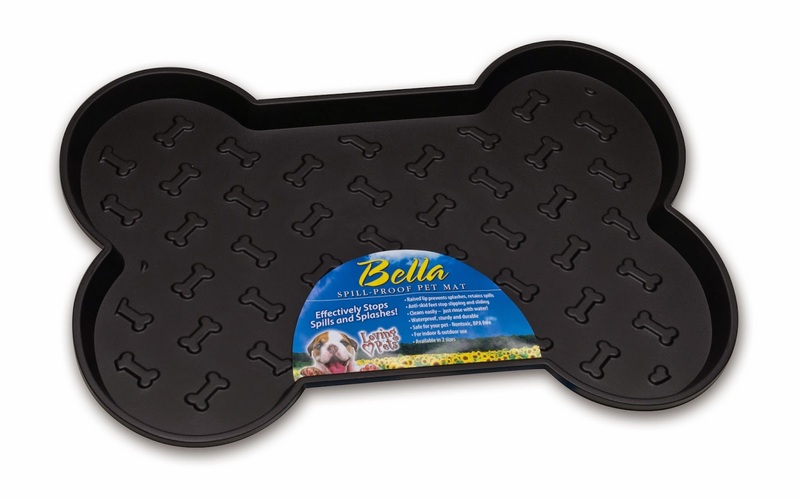 Loving Pets Bella Spill Proof Pet Mat effectively stops spills and splashes. Holds two bowls with bases up to 6-inches wide. Perfect for both indoor and outdoor use. Available in two sizes (Small and Large) and two colors (Black and Tan). Features unique bone-shaped design with raised lip. 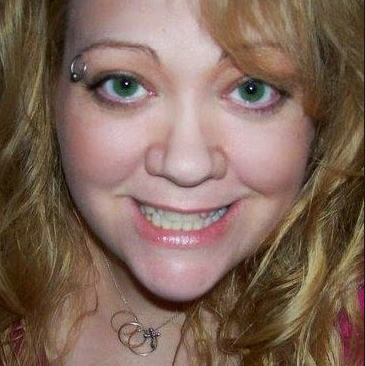 Measures 18 1/4 inches by 13 1/4 inches. 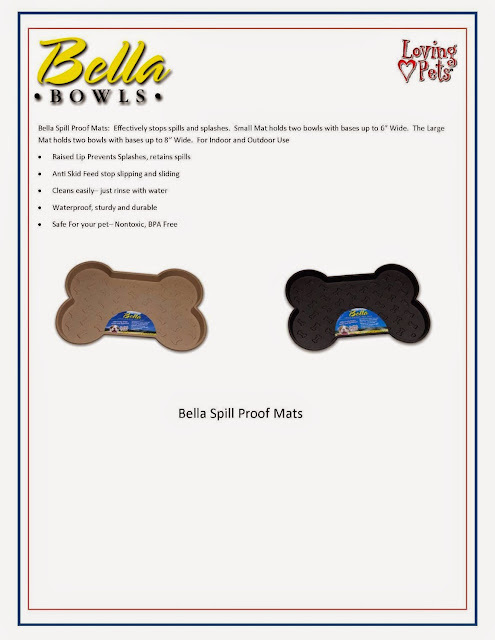 I was very happy to get to try this Bella Spill Proof Pet Mat for Dogs by Loving Pets. I chose the small size for the 3 bowls I have and they fit perfectly! I have been wanting to get something like this for a long time now and now I have one and it is great! I love how it is very decorative and even matches the water bowl! I really like how sturdy this mat is and of very good quality. It gets knocked around from time to time from eager hungry pets but it withstands quite a bit without scratching, cracking or breaking. The spilled food and water stay in the mat and all I have to do is quickly wash it out in the sink and place it right back down on the floor. The raised lip is perfect, it keeps the bowls from wandering around the kitchen floor as well as the food and water spills. I like that it is non toxic and BPA free just in case my pets want to chew on it. I recommend this spill proof pet mat!